Single Level Stunner in Avocado Ranch! 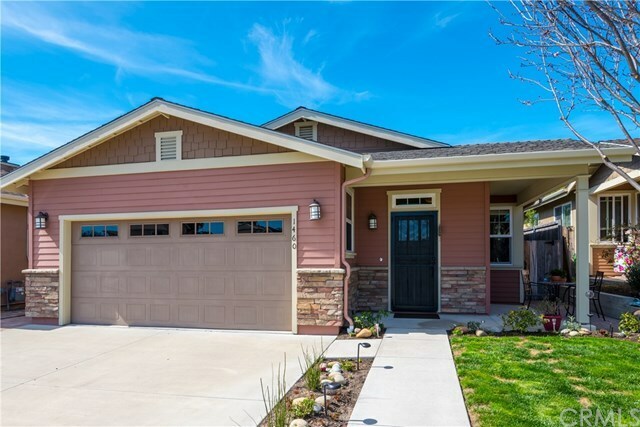 This single-level, lovingly cared for Craftsman style home is located in the Old Avocado Ranch neighborhood about two miles from Pismo State Beach. Rich hardwood flooring welcomes you to the open living room and dining room, where youâll find recessed lighting, 9 ft. ceilings, ample windows with Roman shades and a gas fireplace for those cool evenings. The bright, spacious kitchen is complete with dark granite counter tops, matching Whirlpool appliances and a large breakfast bar that extends to the second dining area. Exit through the French doors to a serene backyard with 2 garden areas, a gorgeous lawn, and a cemented patio shaded by a custom pergola, perfect for entertaining. Retreat to the master bedroom with new carpeting, French doors leading to the backyard, and an en suite to envy. The master bath includes a double sink vanity with a limestone counter, extra cabinet space and a walk in closet. Thoughtful upgrades make this house feel more like home: high baseboards, new ceiling fans and Hunter Douglas black out shades in bedrooms, solid wood doors, solar panels for low energy bills and an indoor laundry room with newer washer and dryer included in the sale! Directions: Elm St. south to Basin to 25th St.